Or shear off all the bullsh**! Many are the people (Poets) that have inspired this, but one that certainly is in the words above is friend and Mentor Ed Roberts. You can find his book on Amazon.com, Barnes and Nobles and various other places. (PS, if you read the testimonials, I warn you ahead of time, to have some tissues handy, more testimonials are always pouring in). Note: If you see any grammatical mistakes in the testimonials, those were left in. Also as the publisher of this book, I wanted, just like the author, for them to retain their authenticity. but save them as well. This is one he shared with me just last night and more proof of that follows as well. How Why you wrote this poem for me have spent days at the library on their computers looking for a job realized my life insurance policy still is in tact I can`t tell you how i ended up here on your page how it came to be I found this poem I realize now my family needs me more than the money if you would have asked me yesterday I would have told you i didn`t believe in God I didn`t believe in fate your words changed both BLESS YOU!!!!!!!!!!!!!!!! Mr. Roberts, Ed, I have spent the last ten years of my life teaching others what is and what is not poetry. I have preached rules, different writing techniques, and basically tried to educate those that would pay attention to this wonderful craft. I have spent the last hour on your site reading all that you have posted here. You exhibit little knowledge of the rules of poetry and you maintain no specific style. If I were to try to grade you on form or method I am afraid you would fail. Still in this last hour you my friend have left me nothing short of speechless. Never have I seen a writer capable of literally reaching into one`s soul and painting images there that will last a lifetime. What troubles me most is how would anyone ever hope to try and instruct someone on how to write in the manner? I leave here with eyes that have been cried dry, a few scribbled notes to mull over later, and an entirely new perspective on just how powerful poetry can be. Rest assured, when I have had time to recover I will come here again. My God this is so powerful. I lost my brother five years ago in a car accident. You`d think that would have reached me, huh? Let me assure this has!!!!!!!!!!!!!!!!!!!! I will never be that man, with a single poem you sobered me up to try and be the man my brother would have been proud of. I have read this one before. I completely relate to it, because my nephew was also special. He died when he was 5 and everyone told my sister, "Well, at least, he is happy now." She responded that he was happy here, because he didn`t know any better. An awesome and touching write. I have a friend. A friend who was strung out and violent until she got so violent and strung out she killed a man. I have a friend who spent years and years in prison until she met my other friend. The friend I had before her. Now my friend is a whole new person. She`s peaceful and compassionate, oh yea... and she`s drug free. She turned out to be such a good friend, I married her and together we`ve grown to realize that the only option is choice and the only guarantee is that one day, your choice for forgiveness and too forgive, will surely, run out. I`m glad my friend and I chose wisely. I pray you and your brother will too. Peace. Now you really got me crying Ed. There are a few more poems on this list but I can barely breathe right now. What you give us is so much more than poetry. You share with us your heart and soul. I understand why God himself chose to leave you with us a while longer. WE NEED YOU HERE SO BADLY!!!!!!!!!!!!!!! I can never say goodbye to my son. I`ll see you later is not easy either. Tomorrow would have been my son Robert thirteenth birthday. He was killed by a drunk driver March 28th. The saddest part of all is that the boy driving the car that struck him was only 17 himself. I plan on getting involved with MADD to help try and keep more mothers from being in this position. My friend Betty gave me a list of your poems that she said I had to read. I know why she chose this one. Wow!!! As a recovering alcoholic I can sooooo relate! Excellent poem very powerful! Today marks the one year anniversary of my daughter Kimberly`s death. I was what was missing in her life, a life she took on her 16th birthday. Now she is missing in mine. Your words tear my heart apart like no other I have EVER read. You don`t know how hard I pray that I could have read them earlier. I have read several of your poems tonight. You helped me in more ways than I could ever say. Bless you and I hope these words find more dads that need them. Hopefully before it is too late for them. I took your advice and read some of your poetry. This one touched me the most. I have lost so many people close to me in my short life and I find it so hard to say good bye. It`s so rough when you don`t want to... good bye just seems so ... permanent. "I`ll See You Later"... I like it. Thank you. As a disabled person due to a terrible accident, I suffered a stroke at the early age of 48 yrs. It has left me paralyzed on my right side, confined to w/chair, unable to walk, without assistance. That was 6 yrs. ago! I woke up from an 8 wk. coma, with most of my memory lost. There were times I came close to the end!..But we are survivors! God has been so merciful! 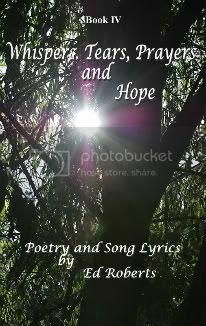 !....thanks so much for sharing, as I can relate perfectly to this poem!...Very true & well written!...I really enjoy reading your writings!...best wishes for your success! Touching story of a boy who could have made a difference but chose not to. We can never change what we do or what we could have done. That stays with us until we can forgive ourselves.....ouch....sometimes we simply can`t even do that. Nicely written with an imagery all to clear. Tears come to my eyes while reading this. For we are only a monster if we deem ourselves to be. Doing what we must is sometimes uncomfortable and we can hold ourselves to blame for our actions but if it is necessary to do, then it can be twice as bad in our minds because we really don`t want to do what we must. Tormented emotions here as the visionary within this poem is all too surreal!! Great job! and sorry for the loss of a dearly loved animal. You wrote this on my birthday! My father is an alcoholic. You make me feel close to reality. I love it! All of it. I have never let anyone around me drink and drive. I know what you stand for and it`s powerful. You`re truly gifted. Now I`m afraid I`ve said too much. Damn this was hard, straight at my face. You want to be a player, be cool for folks. This made me stop and look at the bill I`m running up, written checks I really can`t pay. This poem took me down to where I gotta be, get things back together and straighten myself back up. I always said if my momma couldn`t change me, no one could. I guess I needed to run into you. Well this brought up tears and memories I thought I had left behind... I was in a similar situation where my stepdad would beat the crap out of my mom and when I tried to stop it I was in trouble for disrespecting him....well years later I married a man that I loved more than life, he broke my heart and my jaw in the same night but I left and never went back. The really stupid thing is I still miss him and I wonder if things have changed. I know that I have seen my fair share of abuse both mental and physical but all in all what doesn`t kill ya makes you stronger, after years and years of counseling (I can save you a great deal of money here....lol) I have become a survivor, I have left the victim role behind and have stood up for those who can`t! Some days I believe that I went through all I did because there are those out there that god just thought couldn`t handle it. So now that you know my life story I guess to sum it up I thought this was THE most excellent well written poem I have ever read! You are a very good poet. I came from India to England to rescue my sister. Made him leave England. He went back to India to his town and died there. Once he broke my sister`s hand. Both bones were broken and she still has a steel rod in one bone. I feel your pain and anger. Great poem. Ed I know exactly what you are talking about; I won`t go into the why`s and wherefore`s. It`s not easy living with someone who drinks. Good advice if only they will take it. The beer adverts are getting a bit more graphic thank goodness. we were asked to pick a poem to read for poetry month in class. our teacher wanted us to pick an important poet from the US. Most people picked poe, elliot frost, and the like. A few kids laughed when i picked this poem by you. they stopped laughing as soon as i started reading the poem. Now i`m not the only one who thinks you might be the most powerful poet to ever come from this country. Mom is ordering a copy of your book to give to the school library. I`m sure there will be a long waiting list to read it. i wish every school would do this. My husband would totally agree. WOW! This is so moving. I`ve read this before and cried my eyes out the 1st time though the 1st time I read it I read the original. I left feedback on it months ago. My daughter is 15 and learning about the Holocost in school right now. I came here to read this to her and found your second version (this one). She decided she wanted to print the page and take it into school to her teacher and to read for the class. With a write like this on the web... something tells me that this final horror might not be such a horror. with words and heart pouring out facts such as these. how can one deny such a powerful..testimony. You have more strength then I`ve ever met in my life. Thank You for educating the world on this cruel unfair time in our history. You have such a wonderful way with words. I think I am going to show this one to my cousin charity. I think she needs it. Great write! I cried a river from this poem I could see myself here. God, i think of the mornings I have woken up not knowing who or where I was. This very easily could have been me. I read your other poem about the man that left the bar. I promise you you touched something so deep in my soul that this will never be me. I never liked poetry but was told by a friend I had to come here. This is so much more than the word poetry can ever express. to me your words are a God send. Meeting myself after a similar course was one of the greatest rewards of my life. The question is will they know who they are? They need to read your words. You really have the power to change them into one of us. I have spent an hour reading the poems here. You made me cry more than once. It has been years since I have been able to do that. You made me feel again, something I had forgotten somewhere in the past how to do. I live in a world most people dream of, got the money, all the stuff I ever wanted, or thought I did. There is so much emptiness behind the eyes I see. Even behind my own. You filled them with tears and in doing so let me feel my soul again. I hope somehow more people find out about your poetry but I also hope it never gets to the point where you get too much attention. Of course I don`t think the people in my world could change you, you might end up shattering their world instead. It is so rare to see a person spread out upon a page. What is more special is that in your words I see nothing but truth. This poems burns through you like the wind to your very bones. My cousin was killed in a bombing in Amman, they were 25 years old. These men would have called me brother and you the enemy. I will never be one of them and will stand by your side. They damn themselves to hell with their actions. You are a lamp sent to us by God to shed light on their evil. You have a way of looking inside a person and seeing directly into their very soul. I have taken too many wrong turns on the road of life. Thank you for reminding me there are always exits to take besides that final one. Gonna stop for a while and see if I can find the best for me to take. Your poem was like a street light I am glad I slowed down for. The day of forgiveness for ones actions can always materialize if we can understand that we simply did not know any better!! What a powerful write and finding it hard to believe you can capture such detail without experiencing this but on the other hand so glad that is wasn`t you!! If this wasn`t written from your own experience then I applaud your talent and gift to write from the reflection of another human beings dreadful experience! BUT if it truly was...then you have just shared your experience with another human being and can now start the path of forgiving...to thine own self be true!! I have learned so much from your poetry. My father died when i was 6. He could have been the man in your poem There was a Man. Of course so could have I as well. That poem slapped me like nothing I had ever read, until now. I have kept a switch blade in my dresser and was thinking of buying a gun from a guy at school. with this poem you let me know the difference between being a boy and a man. I want to be a kid a little longer, might use the hotline number to report the other guy. We don`t need any more guns at school. we really need you!!!!!!!!!!!!! yes this is true. I wish that everyone in the world could jsut see, that the rest of the world is no different from themselves. Being form Ohio I know the diversity of Cleveland. Here`s another one for you. I am in Baghdad. The man who owns the internet cafe on my camp and several others is an Iraqi man from Michigan. You really caught me off guard with this poem. As I read on and on I honestly felt a little anger myself until i got to the end and found out what you were reading from. I often think of how it must of been like to be a slave, someone else`s property, and it makes me sick. Great story and idea. It really made me think. You have alot of talent. Sir, this poem with its words has ripped my world in two. From my childhood I was taught to hate the infidel. We were promised so many things for being loyal to their teachings. Your poem takes away the smoke they use to cloud the truth. It reaches into one`s soul and makes it listen to the true voice of Allah. I praise you for leaving this here for me to find. I pray many others will follow behind. My parents have no idea of the things i have done. I may never tell them. I just wanted to tell you there will be a lot less that they will have to worry about in the future. You have really given me the slap in the face i needed. Oh... Mr Roberts I am so over come that I can barely write this, tears are streaming from my eyes as I read the words that you have written...I can only say that I will never allow any one in my presence to mock the atrocities that you must have endured in your life at the hands of these monsters! Thank You for sharing your pain, so that others will perhaps understand. I am covered with goose flesh after reading your entry here...I applaud you for you courage to continue to go on in spite of all that you are going through...we are all here for a reason, and yours is apparent to me...You inspire HOPE, in a world where things seem HOPELESS. Thank You for a very thought provoking read. Very good poem! There is nothing good about one having a first drink which can lead to something worse far worse. I never knew my grandfather because he was in a drunken stupor and committed suicide before I was born. His family lived a bad life. My grandmother had to work where she could find a job. My mother was twelve years old and had to live at various relatives homes all because her father chose to take that first drink! My husband filed for a divorce after twenty-three years because he wanted to be free,live wild, drink, and run around with women. Drinking alcoholic beverages opens the door to so much evil! You said it well in your poem! We lost my mother yesterday. i have been to this site before but had never seen this poem. Thank you so much for putting it here. It brings comfort to a broken soul and makes this holiday season a bit more bearable. As I read this poem, I remembered my great grand mother, who passed away about 4 yrs ago. She would have been 98 this November. Her mom died at age 106,1978, the year i was born. I never got to meet her, but i heard stories from my great-grandmother about slavery days. It makes me respect life and the things around me. A persons life is priceless. Your poem was so beautiful. I have read and commented on a few of your poems before. You, my friend, are the voice from the desert. I still pray you will find your true place in this world. You are our hope for the future, still you hide in the shadows. You shoes will leave ever-lasting prints on this Earth but for our sake you must step into the light before the darkness engulfs us all. Your words here peel away the mask of lies that shrouds those taken in with promises of pleasures. I will spread these to all that will hear them. My brother wore a cross. He was killed in Africa last year. His death didn`t even make the newspaper. Your poem gives him the tribute he deserved. You speak for all of us, many more people need to listen. Sir, i had family members that were bought and sold. Their names were probably listed in a book like this somewhere. It is a GREAT blessing that there are men out there like yourself that are here to teach our children to remember where it is we came from. I see from your picture that you are white. I just wanted to let you know inside your chest must beat the heart of a black man as well, a truly great one as well. Excellent write about a terrible problem! i agree with you abuse needs to be stopped. My sister and her children suffered terrible abuse for years and our family had suspicions but couldn`t prove anything and he kept them away from us. We have guardianship of my neice and nephew now and my sister is a big part of our lives but she is left with permanent mental problems because of the abuse and he didn`t get a thing out of it. The laws need to be tougher. Someone shouldn`t have to die before they do something. there are so many deaths at the hands of abuse. It is sad! This is simply beyond description. I have never read anything close to being as powerful as this poem. My grandmother lived this. I plan on printing a copy and taking it to her. You are right. If no tells the story everyone will forget. You have done so in a way that will reach the coldest heart and destroy the lies others would try to fabricate forever. I gave a copy of this poem to my dad yesterday. He cried. It has been hard on him since the hurricane, I was afraid that he might be heading here. I am so glad our teacher had us read your poetry last year. You words are something that stays with you forever. I am sooo glad they were here to help hi as well. thank you for writing this, I`m glad you found the courage to stay here. we need you too. (The Rose That Grew From Concrete).